Coming up with meal ideas night after night can sometimes prove to be a daunting task, especially if you have children. Planning your meals can ease the stress and also assist with portion control which will, in turn, help you maintain a healthy diet and manage your weight. If you’re new to the concept of meal planning, these 10 tips will help you get started and you’ll be able to meal plan like an expert in no time. 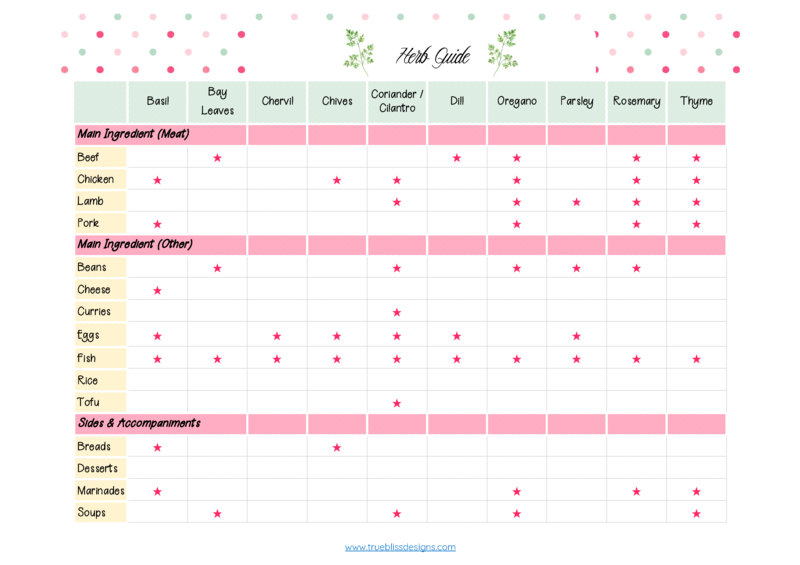 I’ve also included a free weekly meal planner, which is available in three sizes to assist you. Scroll down and click the relevant link to download. Below are 10 tips that will help you with meal planning, together with details of some resources that you might find helpful. 1. Consider cooking a meal that can be made in advance, frozen and generate leftovers. Bolognese is a fantastic recipe to freeze and Mama Bake has 32 ideas of how to use those leftovers. Or if you decide on a chicken dish, make extra and have a chicken salad the next evening. This way, you won’t have to cook every single night. 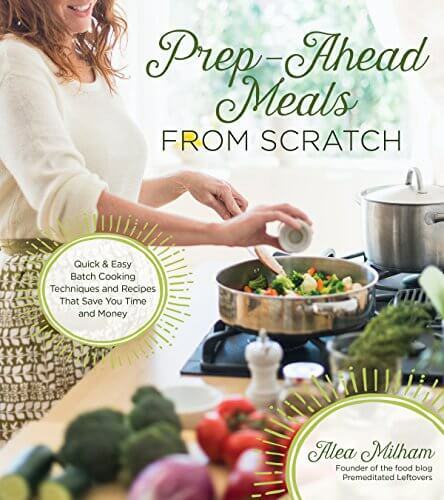 Alea Milham, author of Prep-Ahead Freezer Meals takes this step in another direction and freezes the entire meal before cooking. It’s a great idea and your meal can be on the table in little over 10 minutes if you are using a pressure cooker. The book contains 30 freezer recipes to cook from scratch however, all the recipes contain meat, so will only be of interest to meat lovers. Alea gives you information on how to prep the meal, the tools she uses and I love that each recipe has directions for cooking the meal in a slow cooker (my personal favourite way), pressure cooker, instant pot, the stove top and in an oven. The Apple Barbecue Pork Chops and Sweet Potatoes meal sounds lovely and I can’t wait to try it! 2. Always have a good selection of meals you can cook quickly on those hectic days. It will stop you from reaching for a takeaway menu as you can probably cook these meals quicker than you will receive your meal and it will also be a lot healthier too. Ruthy Kirwan has a book called 30-Day 20-Minute Real Food Meal Plan which provides recipes you can cook from scratch each evening which will take you about 20 minutes. Ruthy preps for the meals at the beginning of the week by batching certain tasks and dedicates 1 hour for this. I think 1 hour on a (hopefully) quiet Sunday will save you so much more time on the busy work nights. The book contains four completed weekly plans and a grocery list of items required for your week’s meals. It also gives clear instructions on what to do in the prep hour and of course all the week’s recipes. I haven’t completed the full weekly plans yet but I have tried the Pork Medallions in Honey Apple Cider Sauce with Creamy Mashed Potatoes and the Wild Rice Blend Stuffed Peppers with Parmesan & Breading and both were yummy 🙂 At $11, it works out to be less than $0.37 cents a DAY for your 30 meals! 3. Be sure to check the family calendar. You don’t want to cook a large meal if the whole household will not be available. 4. Be frugal and start clipping coupons. If you find something you like on sale think about what meals you can create with the ingredient. Your basic supply list will depend on what kind of meals you cook but if you focus on a long shelf life there should be less chance of waste and you will always have these key ingredients to hand. 6. Keep healthy snacks close by. Think about a fruit bowl or a mixed nuts bowl. If you prefer to drink, rather than, eat your fruit, a blender is a fantastic alternative and is a good way to use up any items that you don’t think you will use and may expire soon. 7. If you’re struggling to find meal ideas, use your cookbooks or do a quick search on Pinterest and Google. If you are a Pinterest member, you might find some inspiration on my recipe board. 8. If you have handwritten recipes or recipes from magazines, save yourself time and make sure these are organised and quickly accessible. Kalyn Brooke’s recipe binder kit is the perfect addition to any kitchen. If you’ve never had any kind of home binder this is an excellent one to start with as it includes full step-by-step instructions on how to set up your binder. 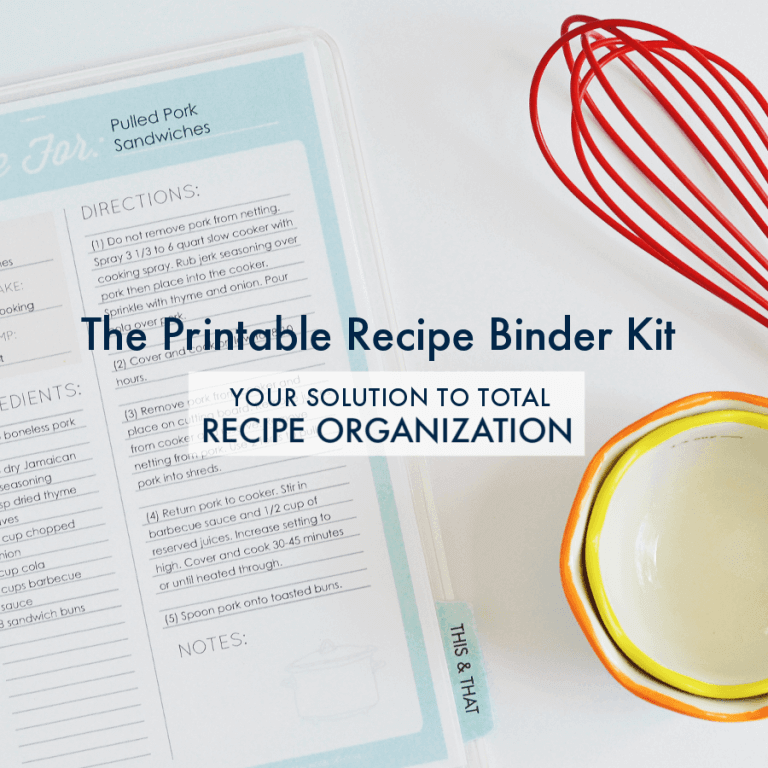 The binder kit contains everything you will need to bring some order to your kitchen and keep all your favourite recipes you have collected in one place. I also love that you automatically receive any new printables or updates at no charge. 9. Be creative by adding different ingredients, or herbs and spices to jazz up your meal. I’ve raided my recipe books and spice cupboard to find out which foods go best with certain herbs and spices and created a free guide. These are popular combinations but as everyone’s tastes are different you might find that you like a particular herb or spice combination that isn’t mentioned. So, I’ve also included a blank guide that you can fill in as you find flavours that suit your tastes. 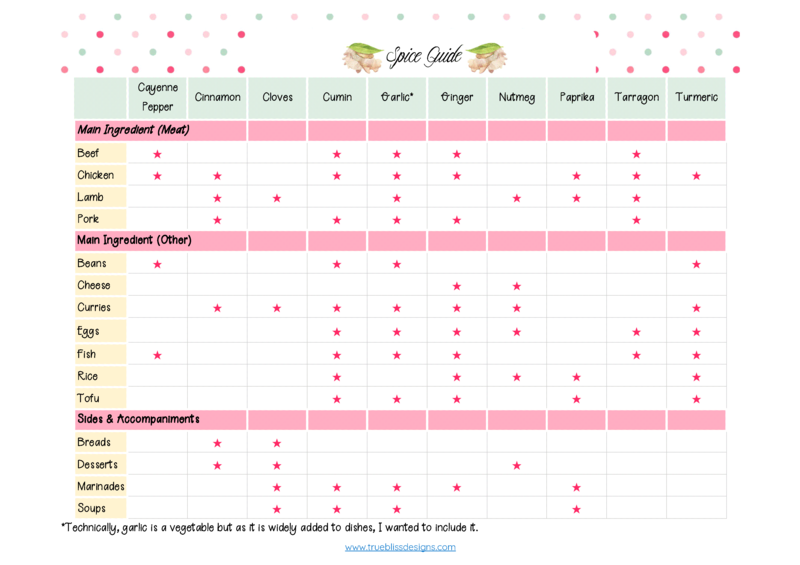 Use this free printable to start experimenting and add something special to your meals. 10. Involve the whole family in planning the meals. Children tend to eat better if they are included in the meal planning process. This is an especially helpful tip to try if you have a particularly picky eater in your household. even the simple task of adding the meal planner to your command center will create a sense of inclusion. This is an ideal opportunity to teach life skills and instill knowledge that will prove to be invaluable. Even if you are a child-free household, involving everyone will lessen the stress for you if you share the tasks. All of these tips are available to download in a convenient pdf printable in A4 or Letter size. If you are interested in even more resources to help you save time and money with your meals, Ultimate Bundles are currently offering the Healthy Meal Planning Bundle 2019.